The 18-year-old has only made nine appearances for the La Liga outfit this term. But it is clear Valencia are housing one of the brightest young talents in the game. Torres is naturally a right-midfielder but can play anywhere across the front line, meaning he will enjoy the freedom currently awarded to Mohamed Salah, Roberto Firmino and Sadio Mane. And according to Balague, Jurgen Klopp is keeping tabs on the youngster. 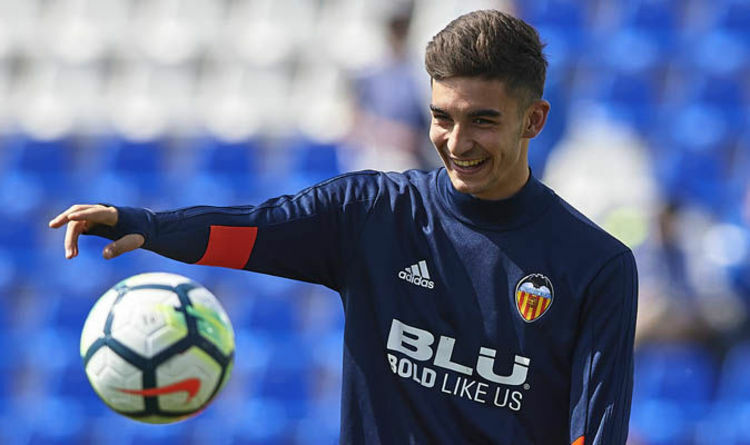 “He is 18 years old and did very well against France in the international break for Spain Under-19s even though they did not make the European Championships,” he told Sky Sports. “He was the best player for Spain at Under-19 level and the only one playing regularly in the top division. “He has played six out of the last seven games, 11 in total this season, and quite clearly Valencia want to keep him. “They renewed his contract until 2020 and put in a buyout clause of 25m euros, but Liverpool and others are keeping a close eye on him. “He is a dribbler, fast on the wing, can play on either wing, and he has got ability and intelligence. Torres has a release clause of around €25m (£21m).